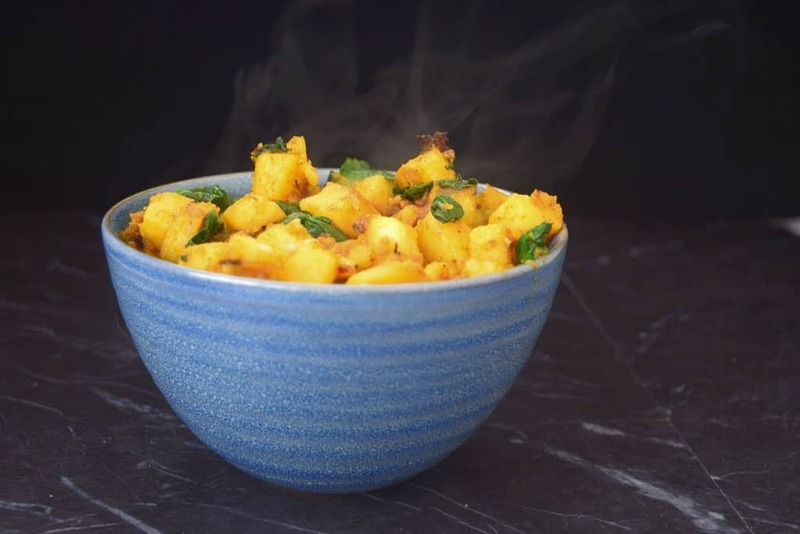 One of my favourite Indian recipes, this Sag Aloo is the perfect accompaniment to a curry and is so quick and easy to make. So, this weekend, Bam Bam and I entered our first official pony show with the Twigster. Having spent all week, bathing pony. We did this a few times since she made it her mission for the week to get as dirty as possible! Then, trying to find a bargain outfit on eBay which would still look the part. And, finally, prepping Bam Bam on his salute. We set off on Sunday with a rather unimpressed pony who didn’t want to get on the trailer. She felt the need to plant herself and refuse to budge! After spending a while and various different methods of getting said pony onto the trailer. I ended up enlisting the help of some men with bigger muscles than me. They practically picked her up and plonked her on. (Note to self: Need to lift some weights before our next outing). Once loaded, she looked at us, the way only a stubborn little pony can, flicked her forelock from her eyes and began munching on a haynet. The show went well, Bam Bam and Twiggy picked up a 3rd place for cute and cuddliest and I got to dress like Beatrix Potter (as a friend of mine likened my outfit to….) and lead them around. I can’t say that I didn’t enjoy it. Dressing up is fun, no matter how old you are! So, after a busy day, I wanted to make something that was quick and easy but still delicious. I chose to make this curry and accompany it with a big bowlful of Sag Aloo. 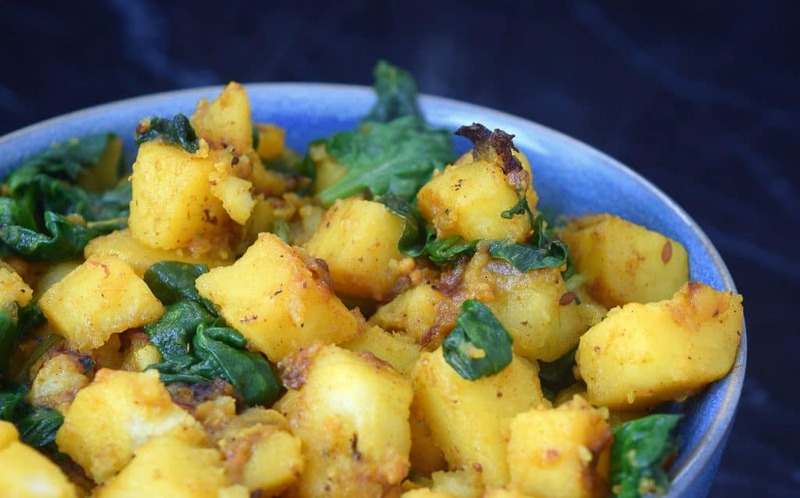 While Sag Aloo makes a great side to a curry. Honestly I would be happy to eat it on it’s own with Mango Chutney. 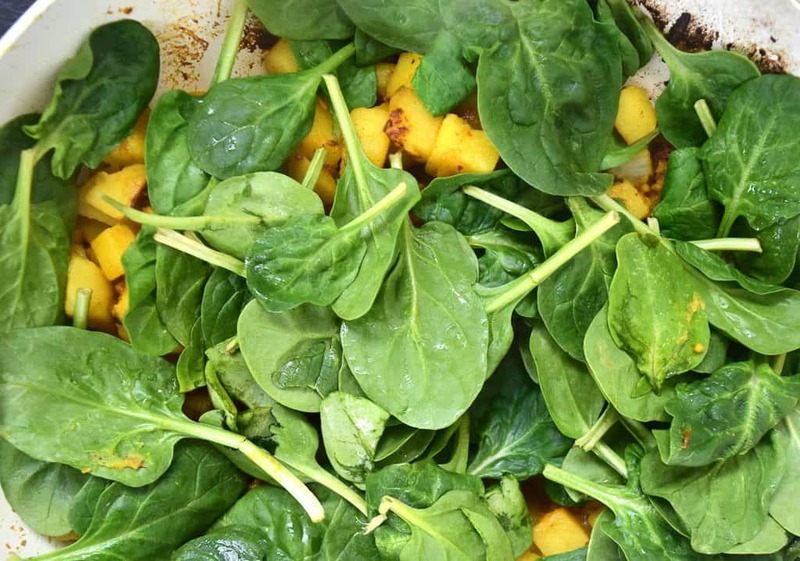 It is so full of flavour, not overly calorific and with plenty of spinach mixed in, it is packed with goodness. In fact, Nugget was pretty happy to munch on this and both boys didn’t even notice the fact they were eating greens, which is always the most difficult of all the food colours to tempt any child with, I believe. There are green foods my boys love. Avocado or olives will be eaten by the boys until the cows come home! And, we did pretty well with the spinach. I am also lucky that Bam Bam’s favourite colour is green! A mum’s job in the kitchen is to disguise as many good things to eat as you possibly can into a single meal and hope they don’t notice! These are about medium on the spiciness level so add more chilli flakes it you like it hot or tone it down with less if you want something a little milder. 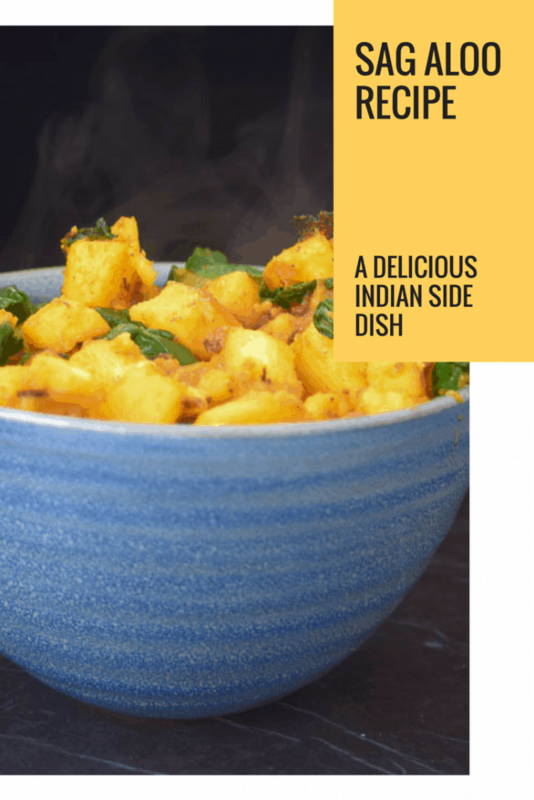 Looking for more curry side dishes to go with your Sag Aloo? 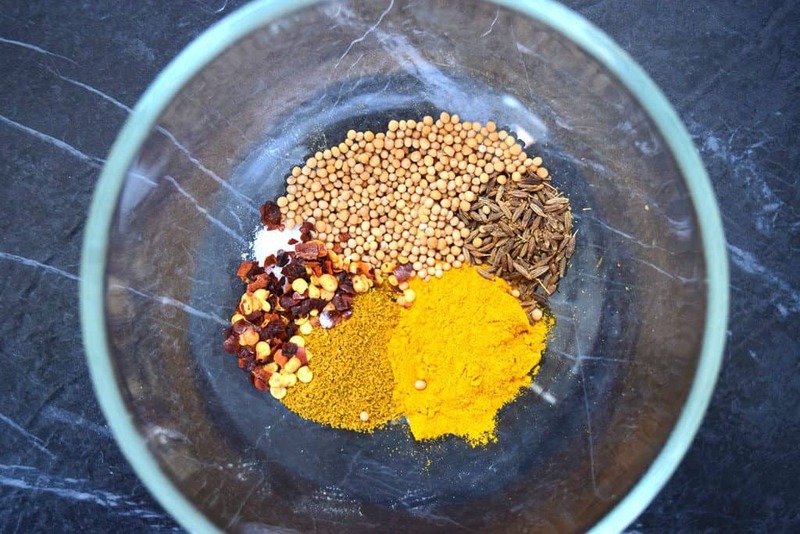 Go ahead and try this Peshwari Naan Recipe, you’ll love it! 600g Potatoes, peeled and cubed. Peel and chop the potatoes into small cubes and leave to one side. Slice the onion and crush the garlic and add to the pan with a little oil, fry until they are soft. Add the potatoes and stir to cover them in the spices. Add a splash of water so it covers the bottom of the pan and place a lid over. Turn the heat down and simmer for 10 minutes, Check occasionally and add more water if it gets too dry and starts to stick. Add the spinach leaves and allow to wilt. Mix throughout the potatoes and serve.